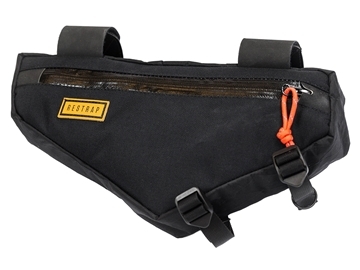 Carry your things comfortably, whatever your load with Restrap’s super functional backpack. Starting at 10 litres up to a whopping 35, pick the size for you and adjust using our compression system. Quick access zip pockets make easy work of keeping your things safe, whilst the internal laptop sleeve (up to 17 inches) will make sure your most expensive item is always secure. 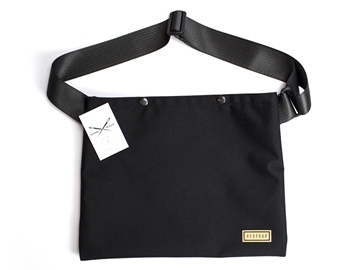 Waterproof fabrics and antibacterial padding will keep you and your bag fresh and dry. 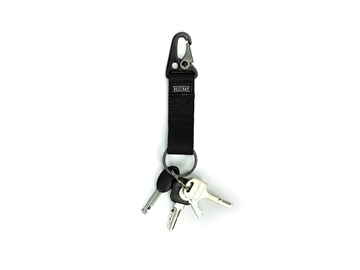 Never lose your keys again with the military-grade Restrap clip. Connected to a carbon-fibre loop and secured with nylon webbing, you can carry your keys with confidence and style. 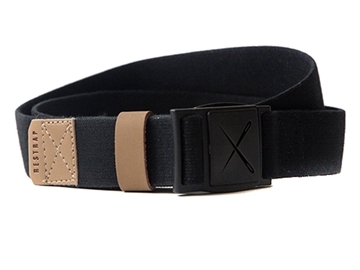 Link is a one-of-a-kind belt, which offers comfort and flexibility for all kinds of uses. 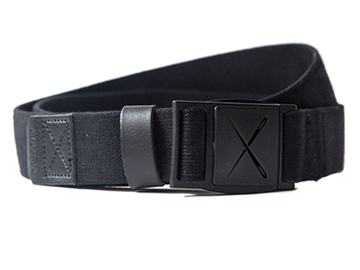 It contains a unique, patented magnetic buckle; with one single movement the link can be fastened, loosened, tightened and removed on the go - with just one hand. It has a break strength of 50kg and a ladderlock system for size adjustment, Link guarantees flexibility and comfort whilst being exceptionally secure. 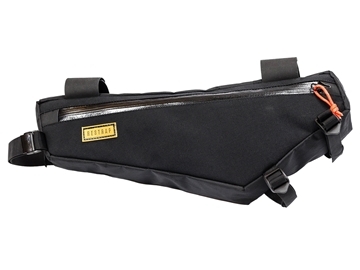 Double popper fasteners keep everything secure, whilst an adjustable shoulder strap tailors the bag to any user. All bags are finished with the classic Restrap label. The Sub backpack is perfect for day trips. 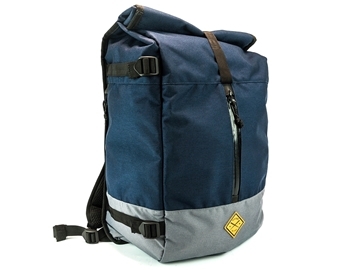 Made from heavy duty waterproof materials, the bag has a capacity of 19 litres and contains a laptop sleeve and internal mesh pocket. 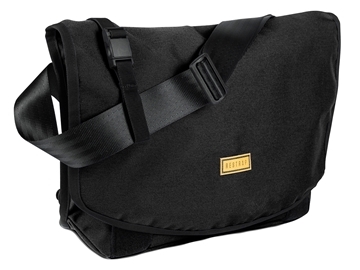 It’s a great companion for short trips to the office, gym or a day out on the bike. 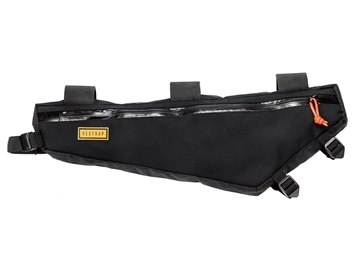 Its external crossover strap section is perfectly designed to carry a helmet, spare wheels, or extra luggage. 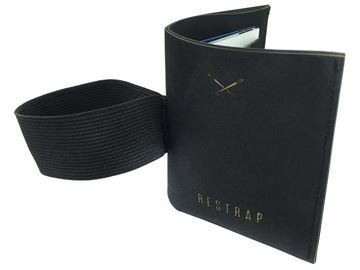 Smart, understated and practical – the new wallet from Restrap represents everything they stand for as a brand. Its unique laser-cut design provides secure storage, whilst the elasticated closure expands easily for cash, receipts and cards. Made from hard-wearing Hypalon, the wallet’s casing is waterproof and impossible to tear. 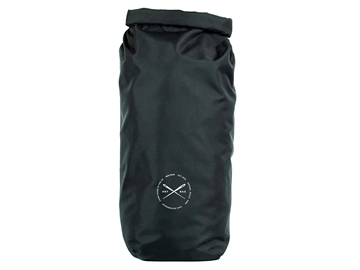 New and improved dry-bags. These handmade bags are tape-sealed on the seams to make them 100% waterproof, keeping all your belongings dry within our holsters, in bags or simply by themselves. The fully waterproof zips, a 1000D cordura outer and VX21 fabrics, all our frame bags will keep your things safe and dry in the worst weathers. 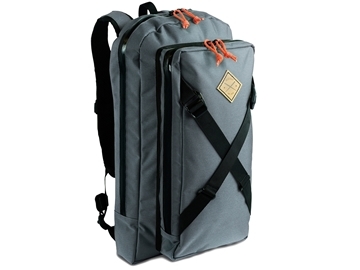 Rubberised strapping provides extra grip to the frame and reflective paracord zip pulls give additional security. Inner mesh pockets keep you organised whilst on the road. 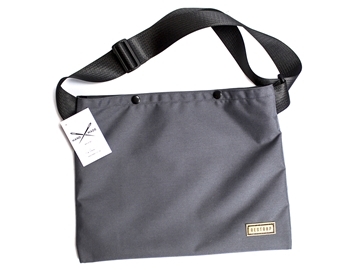 Medium bag contain an additional document pocket. An extra cable slot is provided for dynamo cabling. The fully waterproof zips, a 1000D cordura outer and VX21 fabrics, all our frame bags will keep your things safe and dry in the worst weathers. 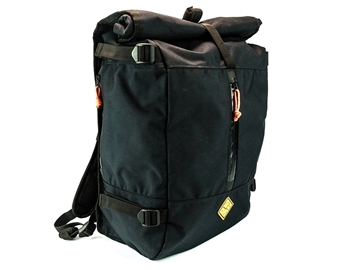 Rubberised strapping provides extra grip to the frame and reflective paracord zip pulls give additional security. Inner mesh pockets keep you organised whilst on the road. An extra cable slot is provided for dynamo cabling. 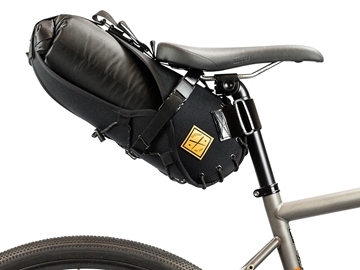 Part of the carry everything range, the rackless saddle bag connects securely to your seatpost for bike packing, touring or commuting. 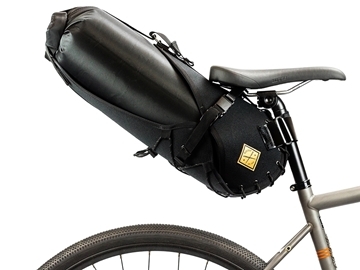 With no mounts or screws, the bag attaches in seconds to any bike. The holster fits an 14 litre dry bag and is secured with a patented magnetic buckle that’s easy to adjust, even whilst wearing gloves. 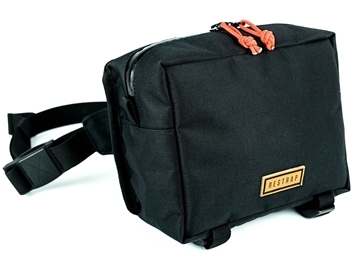 It’s hardcase for easy loading and is fastened with reflective military paracord and reinforced eyelets. 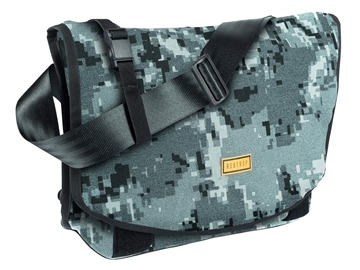 Made from 1000D military-grade cordura and with nylon webbing for extra strength, this product is made to last. The holster fits an 8 litre dry bag and is secured with a patented magnetic buckle that’s easy to adjust, even whilst wearing gloves. 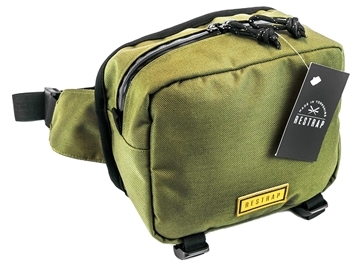 It’s hardcase for easy loading and is fastened with reflective military paracord and reinforced eyelets. 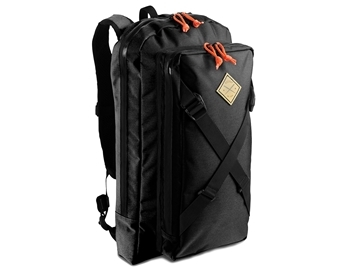 Made from 1000D military-grade cordura and with nylon webbing for extra strength, this product is made to last. 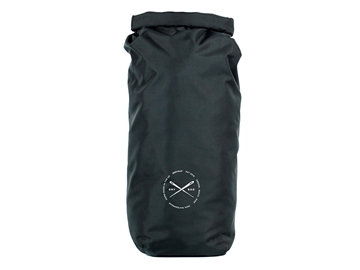 The double ended dry bag from Restrap, 100% waterproof with easy access to all your belongings. Will fit Restrap saddle bags and bar bags. 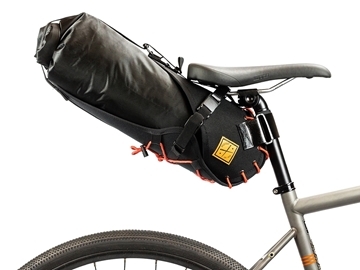 The carry everything rackless bikepacking bar bag connects securely to your handle bars for bike packing, touring or commuting. 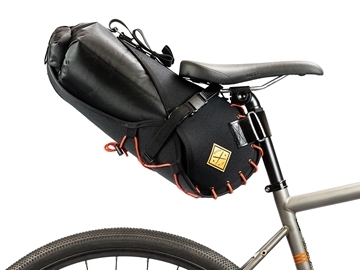 With no mounts or screws, the bag attaches in seconds to any bike. The bar bag fits a 14 litre dry bag (14 litre double roll included) and is secured with a patented magnetic buckle that’s easy to adjust, even whilst wearing gloves. It’s hardcase for easy loading and made from 1000D military-grade cordura and with nylon webbing for extra strength. Your stuff is held securely, even at speed. Contains a magnetic pin system for add-on food pouch or map holder.